JAN CHETNA SAMITI is located in Karnal Haryana . JAN CHETNA SAMITI is registered as a Society at Karnal of state Haryana with Ngo unique registration ID 'HR/2013/0057028' . 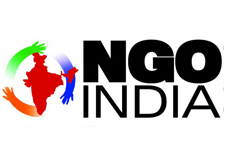 The NGO registration is done by Registrar of Societies with registration number ROS/127 on the date of 21-10-2008, Its parent ORganaisation is PaulFoundation. The Chairman of JAN CHETNA SAMITI is Sunil Dutt and Chief functionary officer is Sunil Dutt. Promoters are Saroj Bala, Krishana Sharma, ,. we do the active and successful projects of FPTC Centre, Ministry of Food Processing, Art & Cultural Programme, Women awareness programme, Health Programme for Child and Women, Farmer Training programme, Tree Plantation, Development of Rular area.